Last weekend Anime Southwest had it's (technically) first event. Due to some personal circumstances I was not able to go near as long as I wanted, but I was able to get a decent handle on the event. To start the event was short handed due to a number of staff bowing at the week before the convention happened. The rumors (and that is all I can call them at this time) is that staff from a different con was supposed to assist, but opted not to at the last moment. Despite this problem the staff that were there all friendly. When I met with the press head he took the time to give me a tour of the convention showing me where the panel rooms, VG Room, Main Event, and Dealer room were. It was a much appreciated tour. I also spoke to a few guests and they were appreciative to what the staff were doing for them. One group had a technical issue that was handled in short order while another was able to get an impromptu Digimon panel setup. I hope that in future years they can keep up this level of dedication. As for the venue, it was definitely not the location they had wanted, but they were able to make it work. 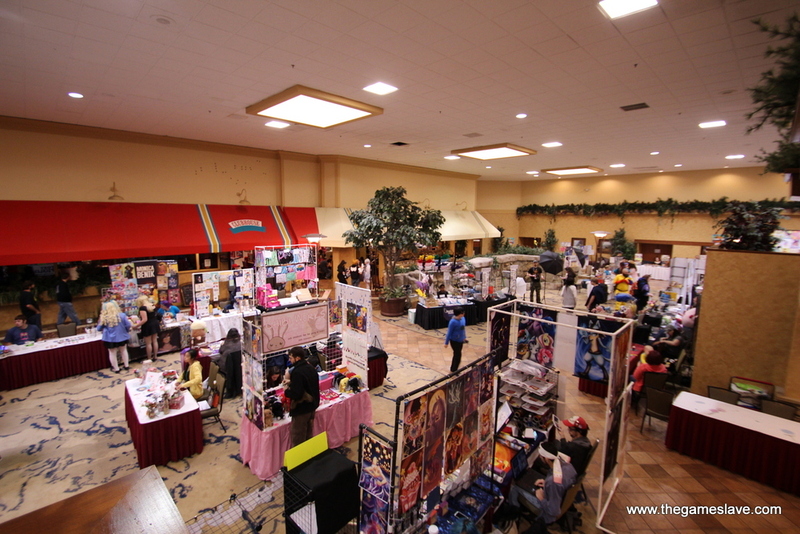 The center of the convention featured Artist Alley. To get to any of the other rooms you had to go past the artists. They also had the small restaurant with, what I assume, were free snacks to keep the attendees going strong. While I don't see this happening in the future, or at least for all future cons, it was a nice gesture. Do I plan to attend next year? Yes, I do. Hopefully I won't have the same personal problems next year to keep me from attending all weekend, so I can truly enjoy Anime Southwest. And for those that want to see the photos I did manage to take, they can be found here.